Bodzash Photography and Astronomy: What Was the Star of Bethlehem? It is one of the most universally recognized images of all time but no one knows exactly what it was. 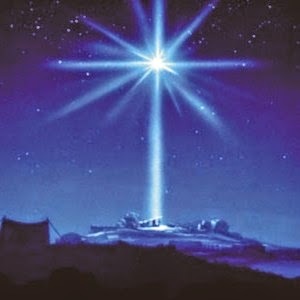 For 2000 years, the Star of Bethlehem has captivated people the world over. Described in the Bible as the star that led the 3 Magi to the infant Christ, little else is related about the Star, leaving a lot of questions, and just as many possible answers to its true identity assuming that the whole story of the Star was not made up by the Biblical writers (the Star only appears in the Gospel of Matthew). One problem that must be confronted right before we can even start to narrow down the possible identities of the Star is this: no one knows exactly when Jesus was born. Our current calendar is based on the birth of Christ in that His birth separates the B.C./A.D. eras. However, it is clear that the dating is wrong as the Bible describes how the Holy Family fled to Egypt to avoid the wrath of King Herod, an well-documented historical figure who died in 4 B.C. Thus, 4 B.C. is the last possible year in which Jesus could have been born. It is now generally thought that Jesus was born anywhere between 8 and 4 B.C. Now that our time frame has been narrowed down, we can start looking to the sky. There are two schools of thought about the Star of Bethlehem: it was either astronomical or astrological. Astronomical possibilities include supernova, planets, comets, and conjunctions. In the year 7 B.C., there was a conjunction of Jupiter and Saturn. However, this is very unlikely to explain the Star as the planets were about a degree (little finger at arm's length) apart. Unless the Magi had very poor eyesight, there is no way that two planets this far apart could be mistaken for a single object and, for that matter, a conjunction of 2 planets to about a degree of each other is nothing that unusual, either. Comets have been suggested, especially since they were often described as “hanging” in the sky. This is exactly as the Star was described in the Bible. Unfortunately, there are no records of any Great Comets visible in the Middle East at that time. A last possible interpretation is a supernova. A bright object was seen for about 70 days in 5 B.C. by Chinese and Korean astronomers. This may just be it, but there's a problem: the star was described as moving, which leads into the other school of thought: astrology. People at this time were almost universal believers in astrology. A notable exception here were the Jews, who were forbidden to practice astrology at numerous spots in the Old Testament. As far as everyone else was concerned, heavenly bodies had special meaning. One thing we know was that the Magi came from the East. Considering the geographical location of Judea, “East” almost certainly meant Persia. In Persian language, the word “magi” referred to Zoroastrian priests, who practiced medicine and magic (“magic” comes from “magi”), which could also include astrology, at which the Persians were very sophisticated. Coincidentally, it is this astronomical focus of the Persians that can cause the traditional astronomical explanations for the Star to be discounted. One particular passage in Matthew can greatly narrow down possible candidates for the true Star of Bethlehem. According to the Gospel, “the star which they had seen in the East went before them till it came and stood over where the young Child was.” If this is to be believed, the Star was a planet. Over the course of months, a star's position will change as it rises about four minutes earlier each night. Stars don't stand still, but planets do. Observe a planet over the course of a year, noting where it is in the constellations. For most of the time, it moves forward. However, there are times where it stops, reverses course, stops again, then continues forward. This apparent change in direction called retrograde motion is an optical illusion caused by the Earth passing the slower planet as both orbit the Sun. A comparison can be made to passing cars on the highway. As you pass, the slower car seems to travel backwards. The same is true of planets. Besides retrograde motion, there is more. Planets and constellations had different significances. Jupiter was widely considered to be associated with kingship. The constellation of Aires the ram was often associated with Israel/Judea. Putting this information together with the knowledge that the Star of Bethlehem was almost certainly a planet allows one to start putting the puzzle together. In 6 B.C., an astronomical/astrological event that fits the bill very nicely occurred. In that year, the planet Jupiter (planet of kingship) moved into the constellation of Aires (the constellation for Israel/Judea). Thus, this could be interpreted as a sign that a new king of Israel was born. To add even more weight to the hypothesis, Jupiter first appeared as a morning object in the East. At this time, the Sun was also in Aires (Jupiter was rising just ahead of the Sun). In astrology, any constellation is at its most influential when the Sun is in it. Also, it was believed at the time that planets were at their most powerful as they emerged in the East after a period of invisibility in the Sun's glare. As it would have taken the Magi months to reach Bethlehem from Persia, this also explains the motion of the Star. As time progressed, the Magi could have observed Jupiter slow down and stop before going into retrograde motion. The stoppage could have coincided with the arrival of the Magi in Bethlehem after stopping in Jerusalem and being told of the prophecy predicting the Messiah's birth there. This is by no means more than a hypothesis. The Star of Bethlehem will probably never be conclusively explained. Either way, Merry Christmas!